What Is Infant Neck Rash? When To Call Your Baby's Doctor? The skin of your little bundle of joy is supple, smooth and tender. It is important to take meticulous care of your infant’s skin since it is vulnerable to rashes, especially in the folds of the thigh, elbow and neck regions. Of all the kinds, rashes in the neck area are the most common. In this article, we guide you on an infant’s neck rash and all the reasons behind it. It is a red, flat or raised rash, which appears on the neck especially around the neck folds. Neck rashes are most common among infants around four to five months. The reasons for infant neck rash range from prickly heat to skin infections like those caused by fungus. The neck is short with plenty of folds. Milk tends to trickle down while feeding and stay there if not cleaned. Stork bites: These are small pink spots that appear on the neck since the time of birth. In reality, these are not rashes but blood vessels that are collected in one region of the skin’s dermal layer. These spots vanish without any treatment within a few months after birth. Prickly heat: This is a common type of skin rash that occurs during the summer season on the neck and other regions of the body. The extreme dry heat of summer irritates your child’s tender skin. These rashes appear as tiny red itchy skin bumps. This condition is also known as heat rash. Skin irritation: Newborns experience neck rash in the first few months. This primarily occurs because their neck region is plump and chubby. This results in the formation of skin folds that constantly rub against each other. Excess moisture and constant friction are the main causative agents of neck rash in babies. This rash keeps recurring in babies till they learn to lift their head without any support (which may take few months). Fungal infection: This type of infections are frequently seen in infants and babies. Excess moisture and perspiration in the baby’s neck skin fold become a thriving ground for Candida. In babies, yeast infection is one of the most common causes of neck skin rash. Additionally, as their main nutritional supply is breastmilk, babies tend to spill excess milk. This further makes the chest and neck region moist and susceptible to neck rash. The most common symptoms are itching skin accompanied with pain. These symptoms may cause babies to lose their appetite. As mentioned earlier, most cases of skin rash disappear on their own within a few days. They don’t require any treatment. But, the baby is highly uncomfortable during this period due to continuous burning and itching sensations. 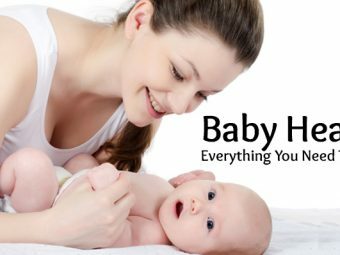 You can calm your baby by following these simple yet effective home remedies to soothe their irritated skin. Only use light and breathable fabrics: Never use stiff, uncomfortable and heavy dress material for your baby. Always look for lightweight and breathable fabric like cotton. On a hot summer day, you can dress up your baby in a diaper and cotton top. Never wash your baby’s clothes using a strong bleach and detergent. These harsh chemicals may cause skin irritation and lead to rashes. 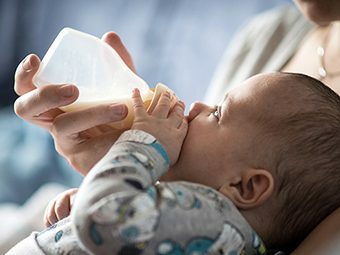 Apply skin creams and lotions to your baby’s rash: Remember to consult your baby’s pediatrician before you use any skin cream and lotion on your baby younger than six months of age. It is always advisable to be careful before using any skin product on your child as they may be allergic to one of the ingredients present in these products. Use cornstarch: You can try sprinkling cornstarch on your baby’s neck before taking them outdoors or after a bath. This will keep the neck region dry and moist-free. Use oatmeal: You can try adding oats in your baby’s bath. Also, you can try oat extract to soothe your baby’s skin. Take a clean washcloth and wrap a cut of oatmeal in it. Seal the contents by twisting the end of the washcloth. Take a tub of warm water and soak the washcloth until both the oats and cloth are wet. Squeeze the oatmeal infused water on your baby’s rash. Once done, pat the area dry. Use cold compress: You can also try using cold compress on the affected region to soothe the skin inflammation. Take a tub of ice-cold water and soak a clean washcloth. 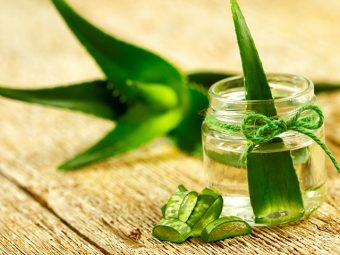 Apply this to the affected region for 5-10 minutes to soothe the inflamed skin. Once done, pat the area dry. You can repeat the procedure as and when needed. Maintain good skin hygiene: If you follow a regular bathing and good hygiene practice for your baby, you may treat and prevent your baby from these skin rashes. Follow a specified bath time: Remember to schedule the right bath time for your baby. Never bathe your baby immediately after feeding them. Allow them to rest for a while after feed time to avoid vomiting or spewing. Use only boiled or distilled water: Remember to use only boiled or distilled water to bathe your baby. This will ensure that the bathing water doesn’t contain any harmful microbes that may otherwise harm your baby. To soothe the skin inflammation, you can add two teaspoons of baking soda to your baby’s bath water. You can also add a cup of oatmeal to soothe your baby’s inflamed skin. Massage with coconut oil: You can also try massaging your baby with coconut oil twice a day. This results in soft, clean skin. Also, the anti-microbial properties of this oil prevent skin infection. When To Call Your Baby’s Doctor? As mentioned earlier, your baby’s neck rash may disappear on its own. However, you should call your baby’s pediatrician if it is accompanied by fever. Pus-filled or fluid-filled skin blisters on your baby could indicate an infection that may require antibiotics. You must immediately call the pediatrician if your baby is crying and can’t be consoled, or is dull and inactive, or not having food properly. If you notice small red dots or spots that don’t disappear when pressed, you must immediately call the doctor. These spots may occur due to bleeding under the skin. This condition is known as petechiae and can indicate a serious infection. Always remember that you know your baby better than others. If you notice any skin rash that worries you, don’t hesitate to call your doctor for further consultation. Bathe your baby regularly and maintain a good hygiene practice. Select the right fabrics for your baby. Avoid rough fabrics, woolen clothes, and blankets. These are not recommended for babies as they have a sensitive skin type. Remember to dry the neck region (and other moisture-prone regions) after bathing your baby. Keep your baby’s neck region open and moist-free most of the times. Dry skin prevents accumulation of moisture in the skin folds. This helps in healing the rashes faster. Try to keep your baby in a cool and well-aired room as excessive heat causes perspiration in the skin folds and leads to skin rashes. During winters when woolens cannot be avoided, use the ones that have a wide neck. Make the baby wear a cotton shirt with collars underneath the woolens so that wool does not touch the skin. How & When To Start Brushing Your Baby's Teeth?